Gas Leak Detection | Sherwood Inspection Services, LLC. Often times, gas lines have small and undetectable (by odor) gas leaks. Our inspectors use advanced testing equipment to check for these and other leaks. Gas leak detection is the process of identifying gas leaks in the home using a handheld combustible gas leak detector. Both natural gas and propane gas are commonly used in homes to power heating systems, water heaters, dryers, stoves, fireplaces, etc. Natural gas is primarily composed of methane. Methane is a highly flammable chemical compound consisting of one carbon atom surrounded by four hydrogen atoms. A natural gas leak can sometimes occur inside the home. In some cases, a natural gas leak can be dangerous because it increases the risk of fire or explosion. The local gas company works hard to provide adequate warning in the event of a gas leak. Because methane—and therefore, natural gas—does not have any odor, the gas company adds a warning “rotten-egg” smell (mercaptan or a similar sulfur-based compound) that can be easily detected by most people if there is a large gas leak. Propane Gas also uses Ethyl Mercaptan to give the gas a “rotten egg” smell. Propane gas is heavier than air and can collect in low areas or pits increasing risk of explosion. Propane can also lose its odor, this is called odor fade which can prevent a leak from being detected and people who have a diminished sense of smell may not be able to rely upon this safety mechanism and some small leaks are not as easy to smell. We use a handheld gas leak detector to trace the visible and accessible gas piping within the home, concentrating on unions (connections with in the piping) and any accessible appliance connectors. This can also be used to detect leaks at or near a gas meter. Most gas leaks found during a gas leak detection test in the home are found at gas pipe connections and are small and well below levels that would cause explosion or be considered hazardous. These types of leaks waste gas and cost a homeowner money, similar to a dripping sink faucet or running toilet. Finding and correcting small gas leaks can save a homeowner a considerable amount of money and prevent the leak from worsening over time. In some cases, we do find significant and potentially dangerous gas leaks that homeowners are not aware of. 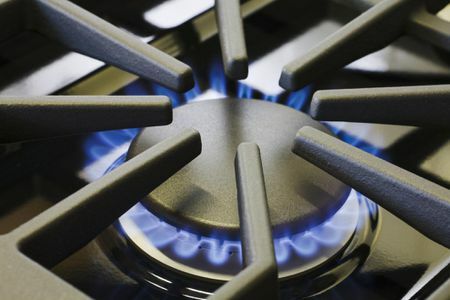 If you have natural gas or propane gas in your home, having a gas leak detection test performed can provide you identify areas where your gas piping and connections need repair. 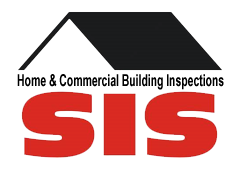 Contact us today to get peace of mind about any potential gas leaks in your home!